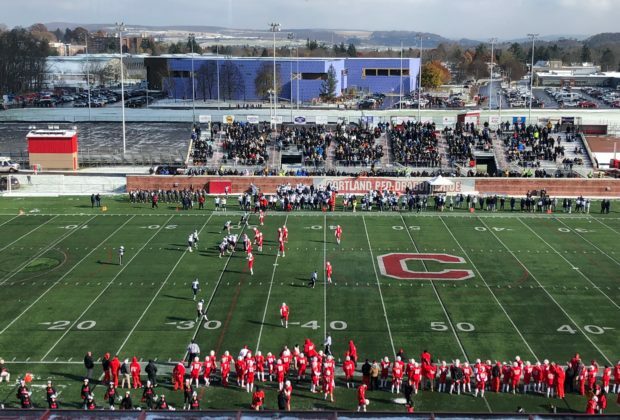 SUNY Cortland and Ithaca College are already more than halfway toward setting a new national attendance record for a Division III football game. 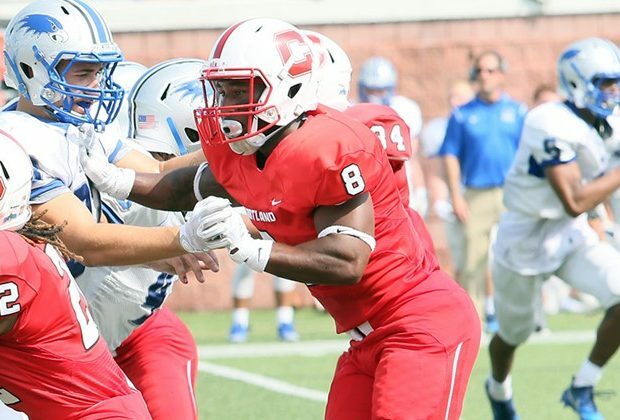 Despite a strong effort at a comeback in the second half, the Cortland Red Dragons fell to the Ithaca Bombers, 24-21. 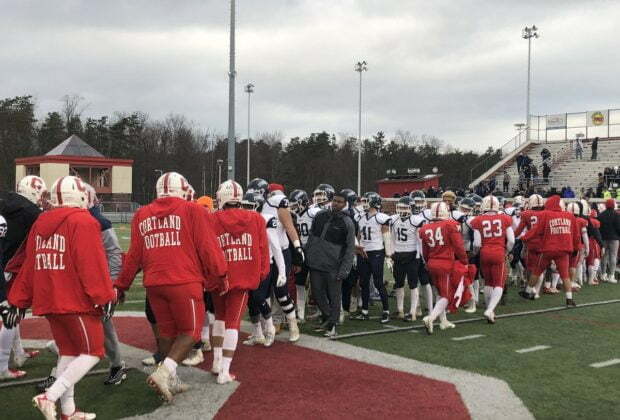 A 58-yard touchdown reception caught by Cortland's Nick Anderson with less than 1 minute remaining helped cut the Ithaca Bombers' lead to 21-7 at halftime. 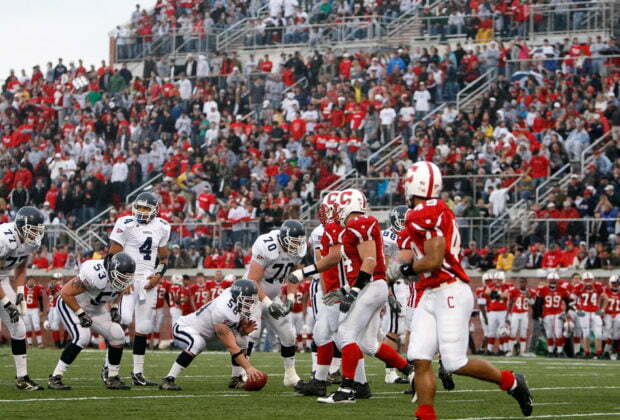 The 61st Cortaca Jug game between SUNY Cortland and Ithaca College will be played at MetLife Stadium in East Rutherford, New Jersey. 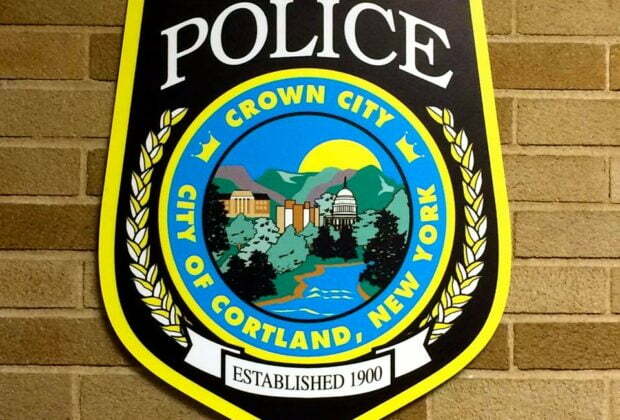 At around 6:08 p.m., Cortland police responded to a report of a traffic accident at 154 Tompkins St., near the intersection with Broadway Avenue. 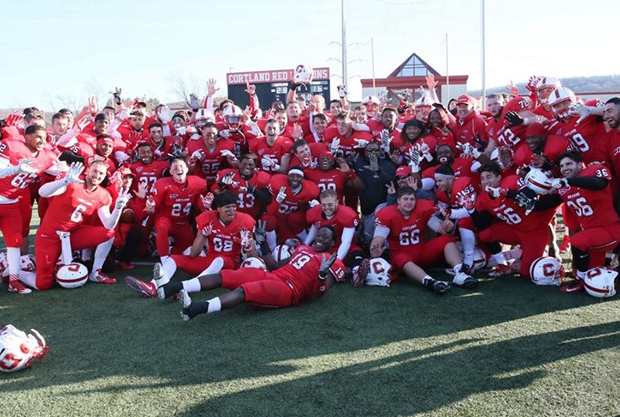 The Bombers held off a brief Cortland second-half rally to defeat the Red Dragons, 48-20, in the 59th annual Cortaca Jug rivalry game. 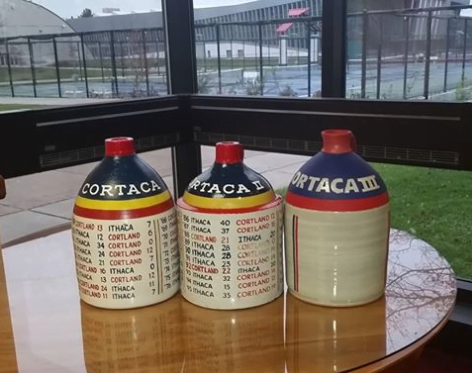 This is the 59th time that Cortland and Ithaca are playing for the Cortaca jug. 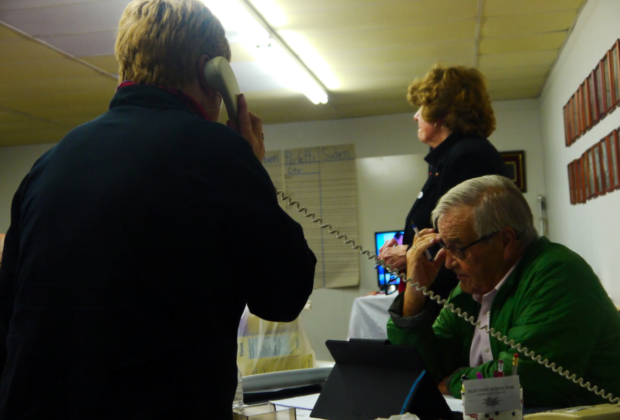 Catch up on the week's biggest local stories with our week in review. 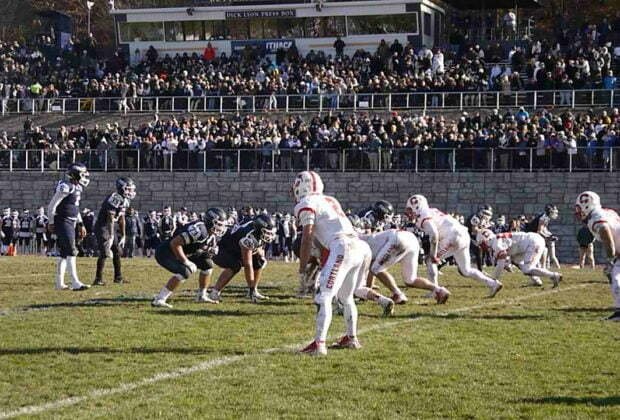 The Red Dragons defeated the Bombers, 28-16, to win their seventh straight Cortaca Jug rivalry game.